Located near the intersection of S Mt Vernon Ave and E Cooley Dr, Extra Space Storage serves residents of Colton, Grand Terrace, and Loma Linda. Locals will recognize our facility a few minutes north of Walmart and a few minutes west of Ashley HomeStore. 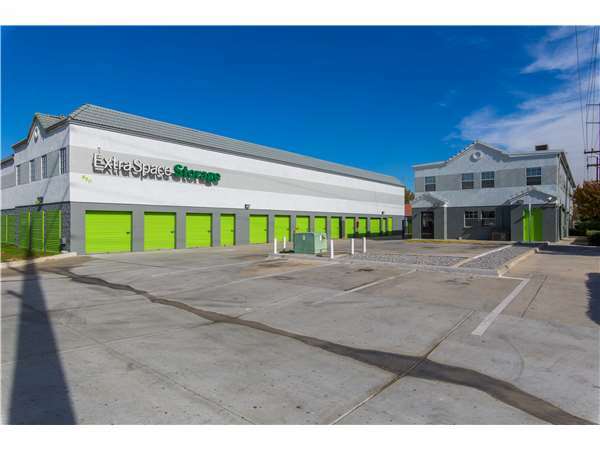 Extra Space Storage on S Mt Vernon Ave offers a wide selection of storage units, climate-controlled storage, and drive-up access. We're the storage partner for you in Colton! Whether you need to store items large or small, our Colton storage facility has room for you! We have units ranging from 2x7 to 16x25 with features like climate control, first-floor access, and drive-up access. The safety of your valuable belongings is our top priority. That's why our S Mt Vernon Ave storage facility has 24-hour video surveillance, electronic gate access, and an on-site resident manager. Protect your delicate belongings from the California heat. Climate-controlled units are available in sizes 10x10 to 10x12 and maintain an environment between 55 and 80° all year. Experience the ultimate convenience with drive-up access! This feature allows you to pull a vehicle directly up next to your unit to easily unload and load items. Drive-up units are available in sizes 4x10 to 16x25. Looking to lease an affordable office space in Colton? Extra Space Storage makes it easy for small business owners to store commercial inventory, equipment, and materials and work from the same convenient location! Contact our staff today to learn more about our available office space! It's always kept clean and neat the girls that work there are always friendly and helpful and the rates always seem fair I would recommend extra space storage to everyone. I love this facility! It is always well lit, and the drive aisles are clean. Associates are always available, informative, and friendly. Highly recommended to anyone looking for a safe place to store!!! One night I was in a hurry and forgot to put the lock on my storage unit. The next day they called me and put a lock on the unit until I could come and put my lock on. But if you experience a garage door mechanical problem and not be able to open the door, all they can do is call and wait for the company to come and fix it. In my case it was a Friday and door didn't get fixed until Monday. I have used this facility for storage a couple of times before and never had any problems, although this time when renting a couple of units, I have had some issues come up. The overall friendliness of the staff there goes along way especially when there are issues that need to be taken care of. I will not go into detail about the issues, but the staff attended to them in a timely manner and have gone that "extra mile" for my husband and I . I would definetly recommend thiis facility in Colton to anyone who might have worries about using a self storage. They make your worries go away. 20 minutes after getting my unit and returning with my first load around 10 am, they decided to paint the hall entrance to my unit, very inconvenient!! Got yellow paint all over our shoes and made it extra hrd to move furniture and what not trying to avoid the wet paint.. also they dont tell you when you make the reservation on line that you are required to get insurance and it is a minimum of $10 extra a month if you get the cheapest insurance that covers $2000 of your property. Excellent customer care. Very please with $$ cost of storage. 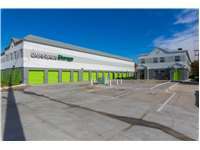 This storage facility is very clean, very inexpensive and the property manager is very friendly. I have recommended this storage facility to my friends and co workers. I have had a storage at this location for a few years. Since day one Olivia has always been very helpful. I am pleased with the customer service. I enjoy coming to my storage. Manager is nice and I feel that my items are safe and secure. VERY VERY FRIENDLY PERSON OLIVIA IS. CLOSE BY HOUSE TO COME BY ND MAKE MONTHLY PAYMENTS. WHEN I NEED TO GET IN STORAGE I DONT HAVE TO WORRY ABOUT RAIN . ITS INSIDE IN A HALLWAY. The staff and property are of excellent quality and those who run the front desk are attentive, positive, and excellent at meeting your needs before you ask for anything! I'd highly recommend this facility for anyone who would like to store anything, from cars to personal items. Thank you for being such wonderful people! The faculty is really easy to work with--they're very nice people and quite readily available to assist you when needed. I haven't hadn't had any problems with moving in. I like that everyone is always very friendly! Everytime I go into office I get nothing but good service. Manager is there to help me. happy with the location, the property and management. We have had this unit for over two years and have never had a problem. The woman who manages the office is such a sweetheart. The units are climate controlled so it's never unbearable to load/unload in the middle of the day. Overall a great facility and not overpriced. The storage here is very friendly and i would tell people to come here first if they are looking for a storage. Manager Olivia and Wayne maintance have treated me like family. I been storing for about 3 years and they have always made me feel welcome. They have been there as mangers of the property and as a friend when I needed them. They are the reason why I store in Colton. I have been renting with Extraspace storage of and on for 4 years. And olivia has giving us great customer service every time. the place is very clean and the girl is real nice. thank you! I came in for storage and left with a great feeling! Everything looks and feels safe and clean, with the exception of trash on rare occasion, (but thats probably the wind out here) and everyone in the office is always so nice! Never thought I'd look forward to using a storage place before! BEEN AT THIS FACILITY GO ON TWO YEARS,WITH A VERY SMOOTH STAY.WE HAVE A VERY WORM & UNDERSTANDING ( HOST ) MANAGEMENT THAT MAKE YOU FEEL PART OF THE TEEM.FACILITY SO CLEAN YOU HELP TO KEEP IT THAT WAY.BELIEVE ME I'M 63 AND SEEN & SEE.WELCOME TO THE FAMILY!!! I am very pleased with this facility because it is right off a main street and easily accessible. Whenever I go there; there is nothing broken (the lift) or lights not working. I'm so glad I chose Extra Space Storage. It's always clean and the on-site management team are so sweet and friendly. 215 South exit Washington/Mt.Vernon turn right- go north on Mt.Vernon, you will pass Denny's and Wallmart. The facility will be on your right-hand side. If you hit the river you have gone too far. We are just before the Mojave River Acadamy. 215 North exit Washington/Mt.Vernon make a left on Washington to Mt.Vernon You will pass Denny's and Wallmart. The store will be on your right-hand side, just before the Mojave River Acadamy. If you hit the river you have gone too far. 10 Freeway West to 215 South- exit Mt.Vernon/Washington Keep north on Mt.Vernon You will pass Denny's and Wallmart. The store will be on your right-hand side, just before the Mojave River Acadamy. If you hit the river you have gone too far. 10 Freeway East to exit Mt.Vernon ave. turn left and go south on Mt.Vernon. crossing over the Santa Ana river, Extra Space is on the left side just past the Mojave River Acadamy.